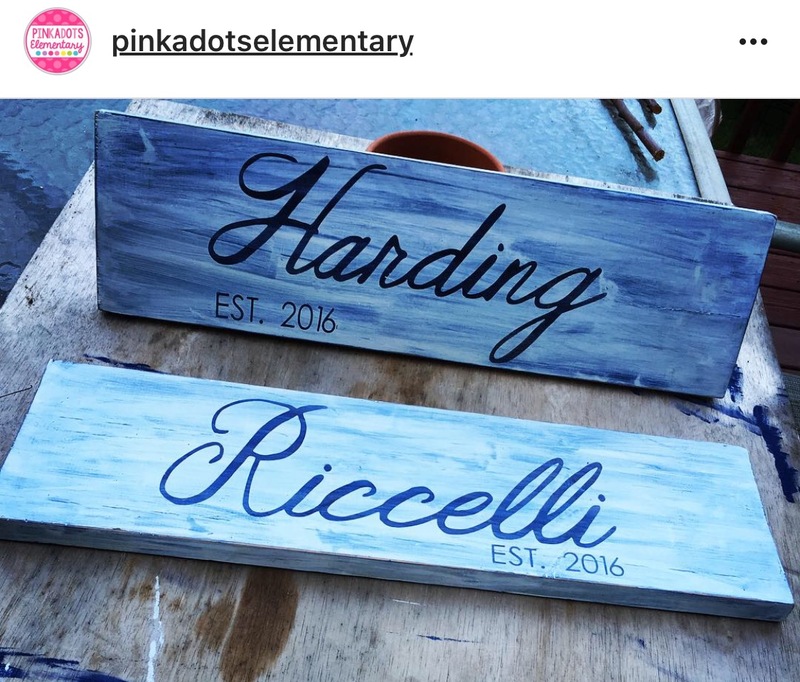 Pinkadots Elementary : DIY Name Sign Tutorial! Perfect in the Classroom or as a Gift! DIY Name Sign Tutorial! Perfect in the Classroom or as a Gift! 1. Obtain wood. I was lucky and found a few scraps in the garage that were about 14in X 5in X 1in each. If the wood isn't perfect, don't worry, it adds character to the sign. 2. I use my cricut explore to cut the saying or name out of vinyl. I use letters or words from this vinyl as a stencil, so it does not matter what kind or color vinyl you use. 3. Paint the wood with one color. In both of my pictures, these signs were first painted with a navy blue acrylic paint. It dried super fast. 4. Lay the vinyl down on the wood. I use transfer tape to get my vinyl from the backing to the wood and it works great. 5. I don't know why, but I read somewhere to paint another layer of the original color after the vinyl is stuck down. So I painted another layer of the blue and let it dry. 6. Next I used a cream colored chalk paint (randomly bought it at Walmart and loved how the color turned out). It is important in this step to start the paint at one side and drag the brush to the other side. Try not to stop in the middle or you will get marks...like in the 2nd picture. Those two signs were actually my first try. If you notice in the top picture, the white paint was much more even when applied. 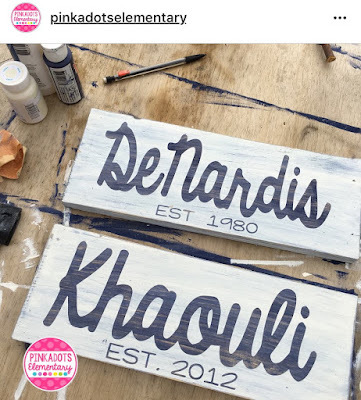 I also added a 2nd coat of white paint to those signs and love the contrast between navy and white. 7. No need to wait for the top coat to dry, grab tweezers or a Cricut weeding tool and pull the vinyl up now. Be sure you grab all the vinyl, in the top picture I forgot to pull up the . after EST, but it was an easy fix. 8. Once the vinyl is up and the top coat of paint is dry, grab some sand paper and sand the sides and front. Don't worry about over sanding, the wood lines gives the sign character and depth. 9. Clean off the board with a damp paper towel and allow the board to dry nicely. 10. Time to seal the sign. 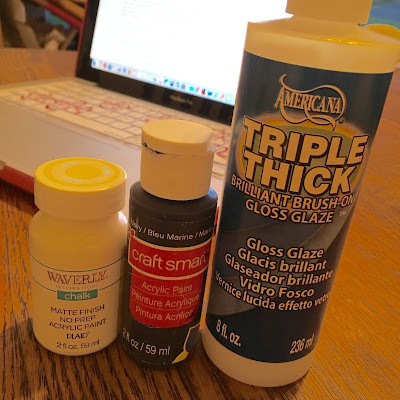 I use a super light coat of Triple Thick Gloss Glaze. It basically dries as you put it on. I actually feel like I can do this project. Great job explaining! Yay! If you have any trouble, let me know! What is the font that you used for the "est"?! One of my favorites: KG Adiopose!